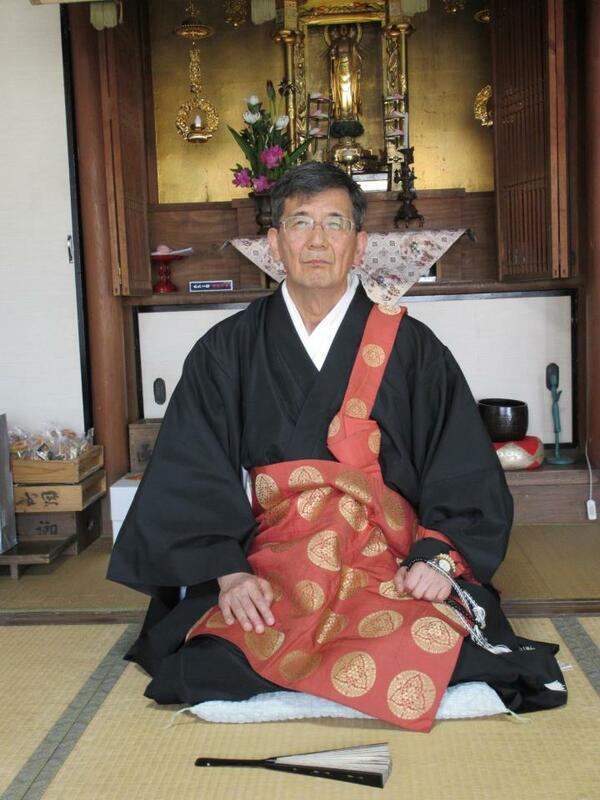 The 750th Memorial Service for the Venerable Master Shinran has successfully concluded, and now there is the anticipation of, “A New Beginning” for our Nishi Hongwanji organization. Unfortunately, there were also reports such as, “‘The voice of the Nembutsu is becoming fainter with the times and I wonder if the 800th Memorial Service will be held with the same fervor as this one?’ could be heard among those who participated.” The long decline in the Nishi Hongwanji organization is something that all have noticed. I have now passed the age of seventy, and am in the same state of mind that Yuien was when he wrote the Tannisho (Notes Lamenting Differences): “In this transient world, my body has become like last year’s grass…” and like him, would like to express my thoughts on what is most important about our organization before it is too late. To begin with my conclusion, I believe that at the very least, scholars of our Nishi Hongwanji organization must be those whose “shinjin is settled” (shinjin ketsujo). I began my studies at Ryukoku University during April of 1960, the year before the 700th Memorial Service for the Venerable Master Shinran was held. During the latter part of my freshman year, I joined a school club devoted to familiarizing students with being resident ministers of Jodo-Shinshu temples. The club advisor was a professor (then assistant professor) of Shinshu Studies. I thought this was an extremely strange thing for him to say because I had always thought that giving Shinshu Dharma Talks meant giving talks in which we expressed our personal joy in being within the embrace of Amida Buddha’s Primal Vow. Later, during the latter part of the year 1978, this professor was felled by a cerebral stroke. This caused him, as he frankly confessed, to concentrate on “listening to the Dharma” but found it extremely difficult. In other words, he had been assigned to teach Shinshu at Ryukoku University and advise a club at that school even though his shinjin might not have been settled! Further, during the latter part of 1965, when the present Buddhist educational system was being proposed, two professors criticized the teaching of “shinjin sho-in, shomyo ho-on” (shinjin is the true cause (of our birth in the Pure Land); recitation of the Nembutsu in gratitude (for that indebtedness is the result),” which is contained in Section Three of the Hongwanji Constitution (shusei). Expressing doctrinal matters in keeping with the times is extremely important, of course, but just as it is impossible to lead others to receiving shinjin if you have not experienced it yourself, so must doctrinal expressions be from the point of view of “settled shinjin.” This seems so obvious that I am slightly puzzled that I even have to mention it. At any rate, what I expressed above were the conditions regarding the lack of shinjin experience in how Shinshu was taught at Rykoku University during the 1960’s and 1970’s; unfortunately, there doesn’t seem to be much difference in those conditions even today. The Kangaku-ryo is a group of Shinsh scholars within Nishi Hongwanji whose responsibility is to maintain doctrinal correctness within the organization. These scholars are selected from the Shikyo rank of scholars, the highest rank that can be earned. The problem that the two professors raised - namely, casting doubt on “shinjin sho-in, shomyo ho-on” - that I mentioned above, was taken up by the Kangaku-ryo during January of 1980. During March of 198, this group of scholars decided to suspend judging whether one professor’s doubt was correct or not, and during October of that same year, decided in the case of the other professor, to suspend investigation regarding the contents of that doubt. No instructions given to either of these two professors. I felt a there was something terribly wrong with such a response because, among other things, the Venerable Master Shinran wrote in a letter, “… for they have not yet attained true shinjin”*1, and made references to others using terms such as, “undetermined shinjin” (shinjin miketsujo), “not determined” (fuketsujo), and “no anjin” (mu-anjin). Master Rennyo also wrote things such as “…(those) in whom the settled mind (anjin) is yet to be realized” (mianjin no hito)*2, and “… who have not undergone a decisive settling of faith (anjin)” (shinjin miketsujo no hito)*3 and often used terms such as “no anjin” (muanjin) and “‘not yet’ anjin” (mianjin) that express the thought of anjin (shinjin) not yet received. Further, both the Venerable Master Shinran and Master Rennyo wrote about the joys of shinjin in many places so there cannot be anything such as “no awareness” of it. To say, “…we cannot say anything about (the)‘no anjin’(of others)” or that “shinjin cannot be known,” clearly goes against the positions of both the Venerable Master Shinran and Master Rennyo, and I believe are the views of those without “determined (settled) shinjin” themselves. I was then assigned to Nishi Hongwanji’s Dendo-in (Institute for Transmitting (the Jodo-Shinsh Teaching), now “Combined Research Center” (Sogo Kenkyu-sho) doing similar work with a slightly different charter), which was requested to counter the criticism of Reverend Takamori. I wrote an article criticizing their understanding of “stored good” (shukuzen) and “matter of greatest importance in the next life” (gosho no ichidaiji), which they were then emphasizing. This article was published in a house bulletin during December of 1979. Although my article was intended for readers within the Hongwanji, the Shinran-kai organization began raising questions about it. I responded to their specific questions, but they would not accept answers that were not to their liking. That resulted in demonstrations against the Hongwanji Headquarters Temple, which in turn caused the Headquarters Temple administrators and the head of the Dendo-in (who was a kangaku) to form a committee to respond to Shinran-kai. I was a member of that committee. I am heartened that many former followers of the Shinran-kai organization have studied my articles and agreed with me, leading to their leaving Shinran-kai. At least one former follower has created a Japanese blog in which he uses all of the points made in my articles in refuting Shinran-kai’s positions. I wonder if “conversion (receiving shinjin)” (eshin) should be considered in terms of time. The time that the “turning in” of sangan tennyu*1 takes place … (omitted) … is something that is of more concern to historians (than scholars of Shinshu doctrine), and I believe it is better to not consider it within the realm of the “practice and (the receiving of shinjin).” … (omitted) … I believe some consider that the time shinjin is received can be known, but I do not. This is a denial of the reality of “turning in” from the 20th Vow (the Nembutsu of “self-centered effort” (jiriki) before receiving shinjin) to the 18th Vow (the Nembutsu of “Buddha-centered power” (tariki) after receiving shinjin), as well as a denial of the conviction of having received shinjin. I have written other essays that considered the matters discussed above from different perspectives. Two of those articles are: Bukkyo o ikani manabu ka - shinshu-gaku no baai- (How Should We Study/Teach Buddha-dharma - With Emphasis on Jodo-Shinshu), printed in Issue 66 of Nippon bukkyo gakkai nempo; and Shin ichinen to shin no kakufu ni tsuite (On the Single Moment of Shinjin and Unawareness of Shinjin), printed in the 55-2 issue of Nippon indogaku bukkyogaku kenkyu. Recently, one of the professors mentioned in this article wrote a work titled, Shinshu gudo gaku (Seeking the Truth in Shinsh Studies), published by the prestigious Buddhist publishing company, Hozokan, September, 2011. In that work, the author denies the doctrine of “shinjin sho-in, shomyo ho-on.” I can only repeat that the author’s lack of “decided shinjin” makes it impossible for him to understand the difference between the “Nembutsu before receiving shinjin” and the “Nembutsu after receiving shinjin.” In other words, he has no experience of “indebtedness to the Nembutsu” (ho-on Nembutsu).